Ola, ni hao! Welcome to the Eco Pages of Macau! This former Portuguese colony settled on the major trading route of Hong Kong and Canton in times of old. Welcoming travellers from around Asia and the world, and in particular from neighbouring Hong Kong and China, Macau is a special collection of islands not to be missed. When most people think Macau, they may think of its glittering casinos and shopping, or of the numerous international conferences and expos held there annually, but think again! Full of history and dotted with unique antique shops and small family-run businesses, Macau offers a unique cultural experience that blends old and new, European and Chinese in a way found nowhere else in the world. 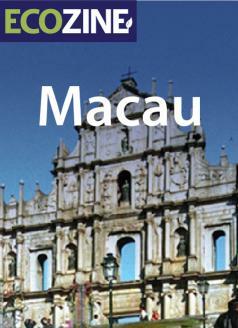 Macau may be a small region but it is growing at an astonishing rate. With this growth we are sure to see a lot more happening on the green scene as time goes by. Check out our listings for Restaurants and Food Stores as well as a number of places to buy responsible products for your home and family.